Women are playing a central role in the underground churches of Iran despite the risk of rejection by their families and imprisonment by police, research by the global charity Open Doors has found. An Iranian woman lights a candle during the Christmas Eve mass at the St. Gregor Armenian Catholic Church in Tehran. Its 17-page report, Women Rebuilding the Future of the Church, found that women work as evangelists, Sunday School teachers and, increasingly, house-church leaders, and argues that, proportionally, more women in Iran are involved in ministry in Iran than in many Western countries, despite women not having equal standing in Iranian law. Although Christianity is suppressed in Iran and conversion away from Islam is illegal, there are an estimated 800,000 covert believers, many of them converts from Islamic backgrounds. According to Open Doors, at least 193 Christians were arrested or imprisoned for their faith there last year. Azada, a woman who runs a church, is in contact with Iranian women converts on a daily basis. She said that, in Jesus, Iranian women gain confidence that they did not gain from the honour-based culture in which they had grown up. Women who become Christians, she said, find that they “are loved, they are wanted, and they can come to God just as they are, without any shame”. 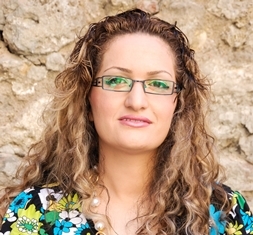 One woman, Shifa, has launched an online church group where Iranians who have become Christians can connect and receive pastoral care and be discipled. Shifa, who no longer lives in Iran, was motivated to do this after the cousin who told her about Jesus was imprisoned for her faith, leaving her with no-one to help her understand the Bible or answer her questions. has spent over 3 years in prison. According to the World Watch List published last week by Open Doors, which works with Christians under pressure for their faith worldwide, Iran comes 8th out the 50 most dangerous countries in which to live as a Christian. In the 2016 List, it was 9th. One Iranian Christian woman, Maryam Naghash Zargaran, has spent more than three years in prison. Zargaran has undertaken two hunger strikes to protest against being denied access to the medical treatment she requires for long-standing health issues. She has been allowed to leave prison temporarily to receive treatment, but each time has been forced to return before it could be completed. She then had her sentence extended by six weeks to make up for the time she has spent outside prison. Zargaran, a convert from Islam, was originally arrested in January 2013, in connection with her work at an orphanage alongside Saeed Abedini, who was also imprisoned but eventually released in January 2016. The book, ‘Captive in Iran’, details the story of two other Christian women, Maryam Rostampour and Marziyeh Amirizadeh, who spent time in prison in Iran.